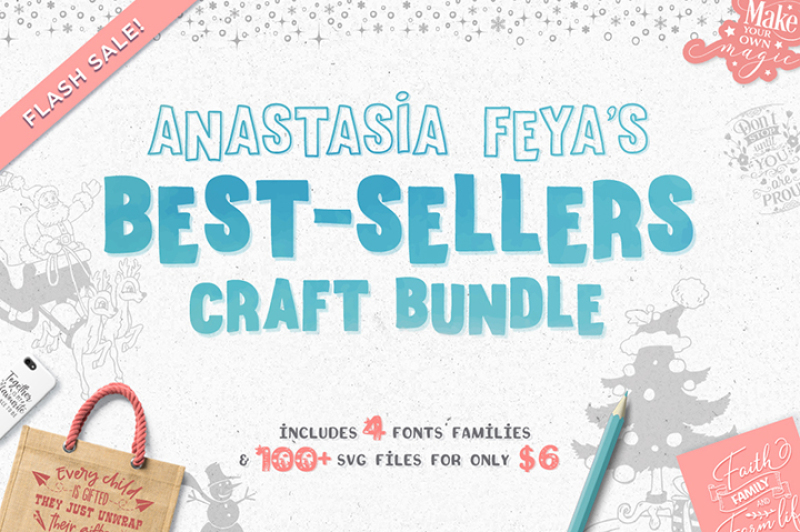 Today we partnered with Anastasia Feya to bring you another Flash Sale Friday filled with SVG files and craft-related items! In this set you will find four very useful font families, plus some of Anastasia’s best-selling cut files. 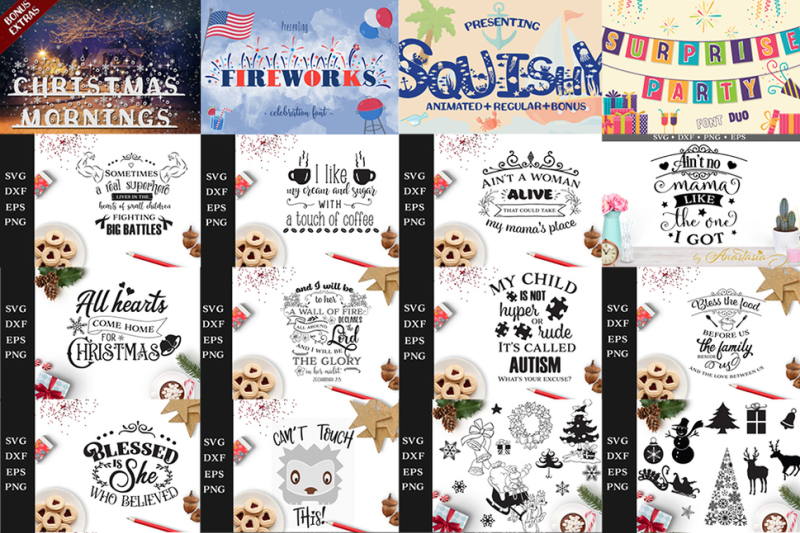 You will get a total of 114 cut files packs from various categories, such as: Thanksgiving, Christmas, family, home, mom life, religious quotes, inspirational quotes and many more! Usually, this entire set would cost you $118, but for a few days only, you can get it at a special price – just $6!